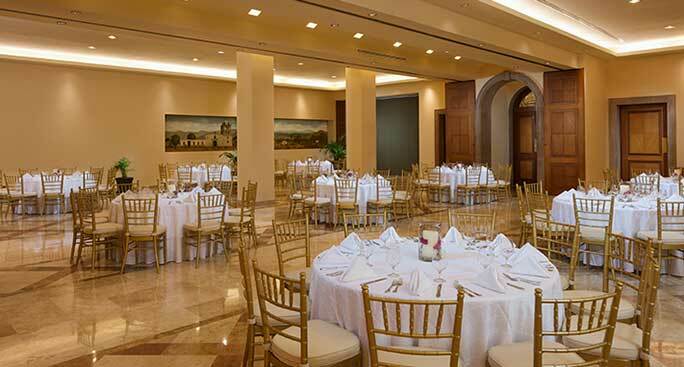 With its charming Colonial style design and architecture, our elegant Los Cabos meeting spaces inspire creativity and the power of the connection. Surrounded by the sand and sea and just minutes from downtown Cabo, Play Grande Resort is an alluring destination for special events, business meetings, conferences and corporate retreats. 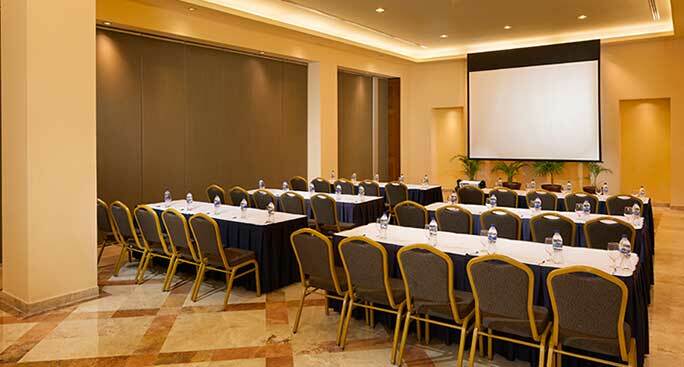 Our resort features 5 flexible meeting rooms, including a grand auditorium, with start-of-the-art audiovisual technology, Wi-Fi and catering, all just steps from the Pacific Ocean and Solmar Beach. Our dedicated team of planning professionals will assist with everything you need for success, from catering to transportation. We also provide stunning suites with ocean views and spa for rejuvenation. 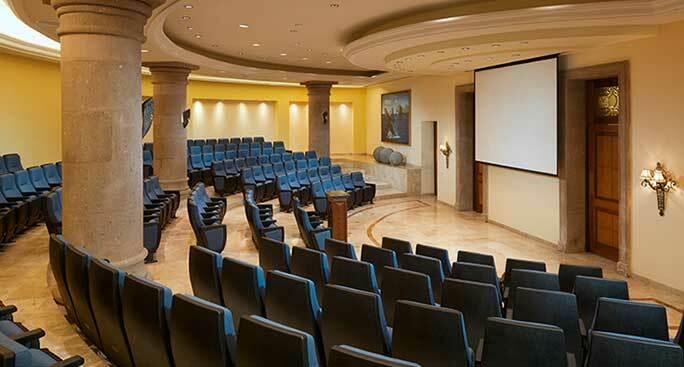 Ideal for conferences, seminars and graduations, Misiones de Baja California Sur is a cutting-edge venue with a stage, auditorium seating, electronic screen, projector, sound equipment, microphones and space for 170 guests. For intimate gatherings, our 1636 square feet Salon Nuestra Señora De Loreto offers an elegant Colonial design, audiovisual gear, and coffee break service, and can accommodate 80 people in theater set-up. With a distinctive Colonia design, our Salon San Francisco Javier is the perfect venue for corporate events, conferences and gatherings for up to 80 people. This 1550 square feet space features adjustable lighting, Wi-Fi, audiovisual equipment and coffee break service. 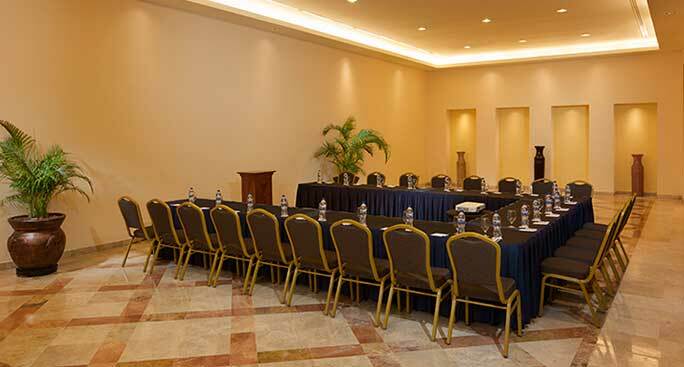 Decorated with hand-made paintings with motives of Missions of the Coras from old Baja, Salon Santiago De Las Coras is ideal for business meetings, seminars and classes for up to 55 people. 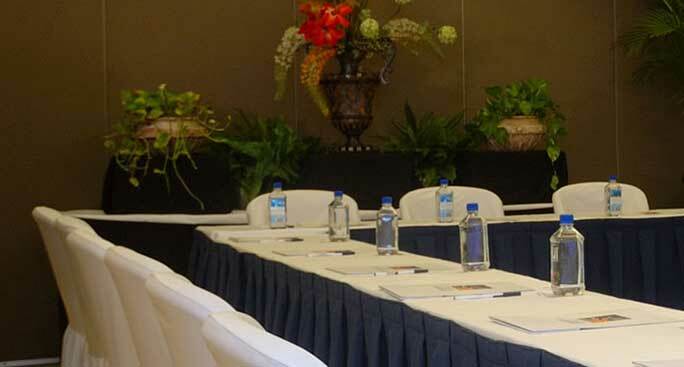 With excellent sound and lighting and a wide screen, the colonial-inspired Salon Magno can accommodate conferences, congresses, groups, graduations, weddings, receptions and banquets for up to 250 guests.